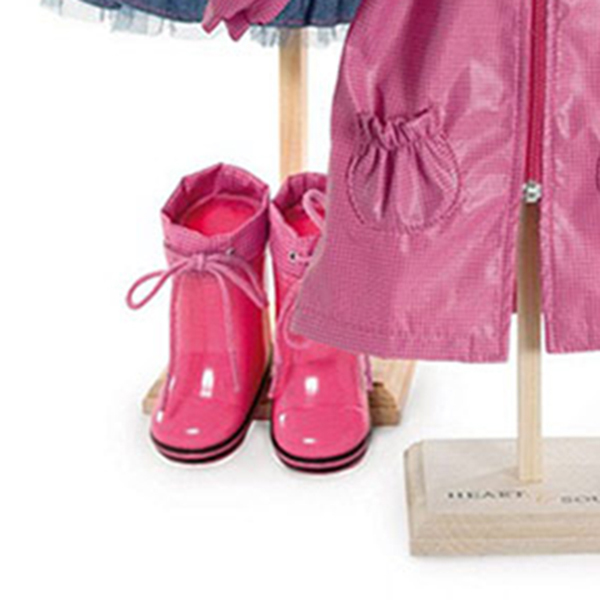 Keep your doll dry this winter. 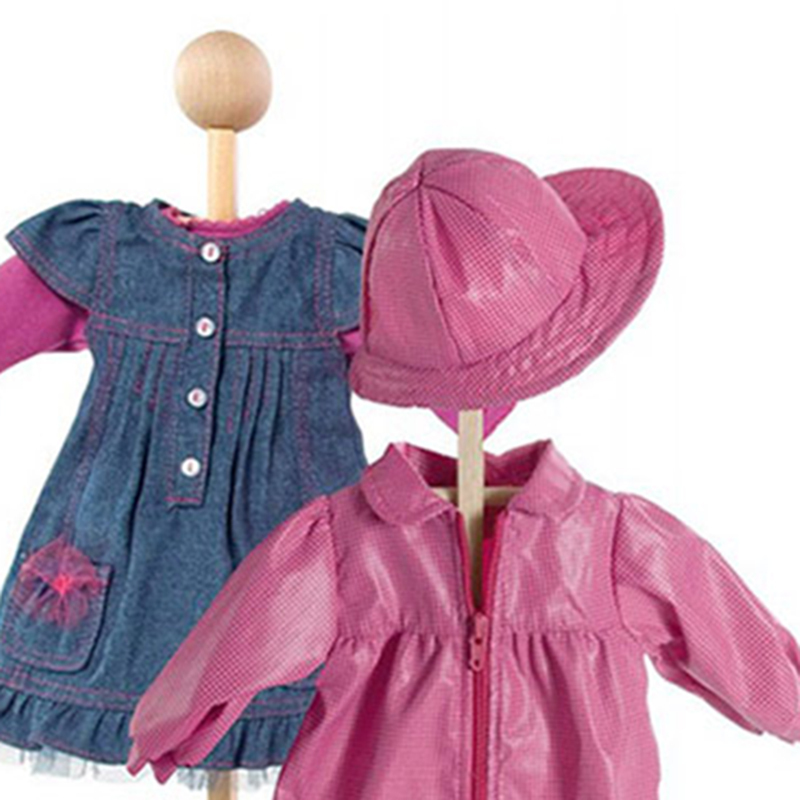 The Rainy Day Set consists of a beautifully made pink polka dot raincoat and matching rain hat, a denim dress with a pink T-shirt. 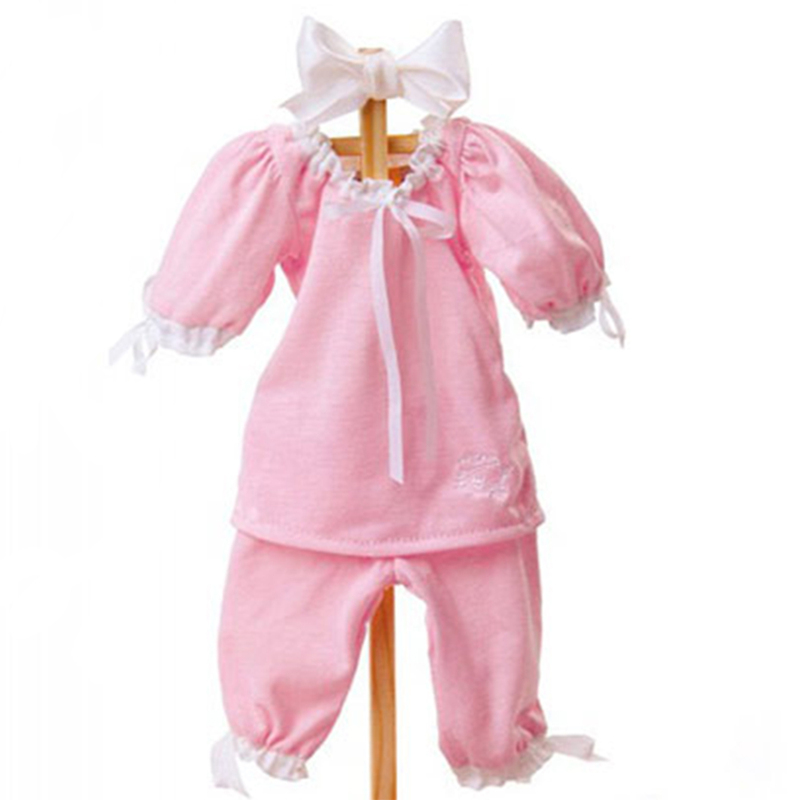 Keep your doll dry this winter. 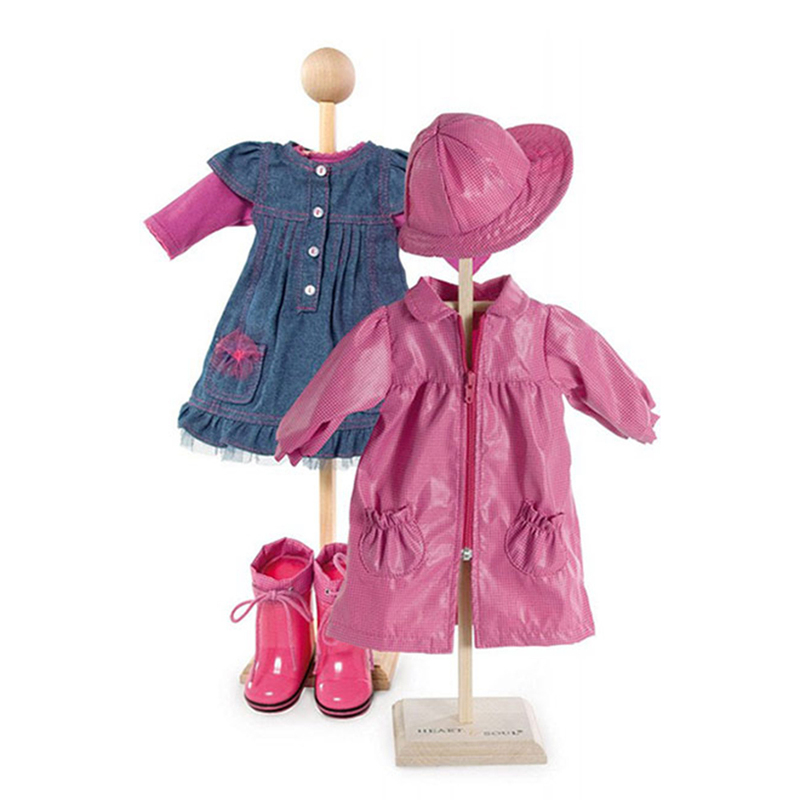 The Rainy Day Set consists of a beautifully made pink polka dot raincoat and matching rain hat, a denim dress with a pink T-shirt. 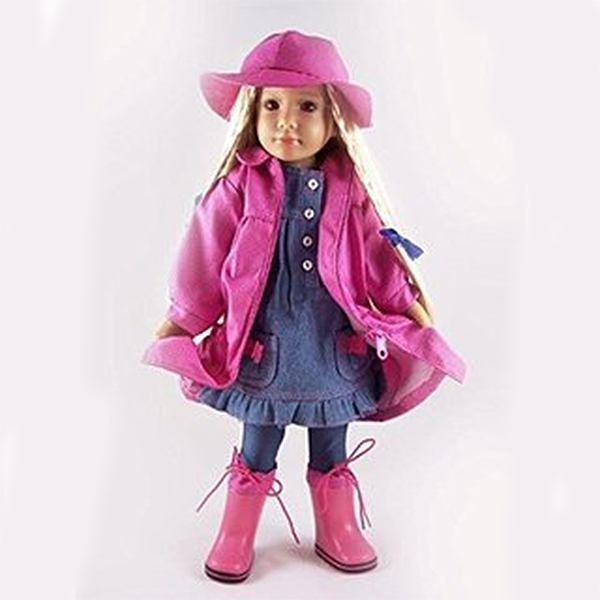 The jean-colored tights look stylish with her matching pink wellington boots. 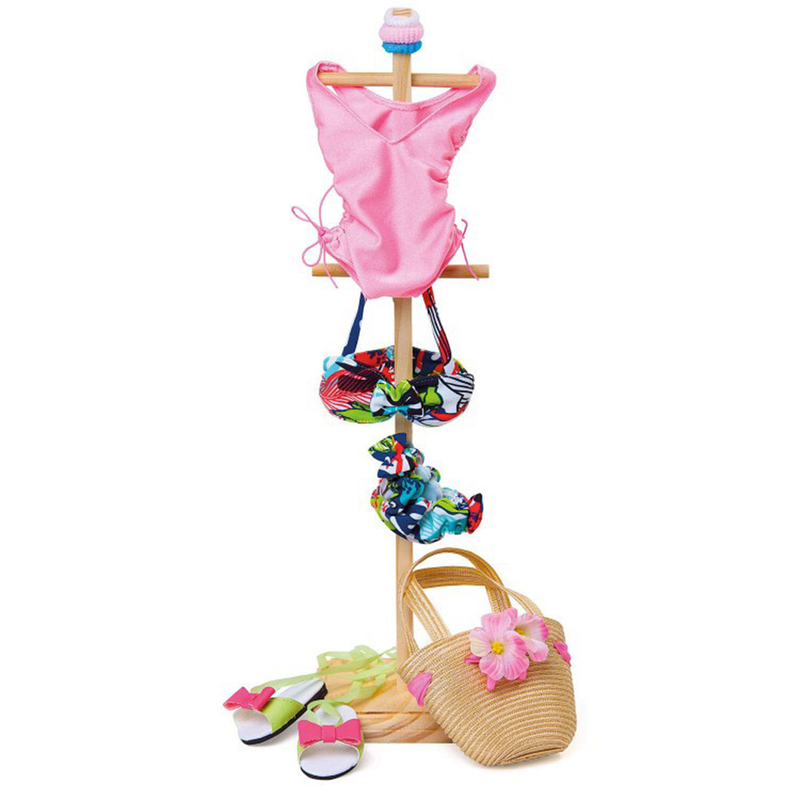 The clothes rack is for decoration and is not included. Colours and patterns may vary.